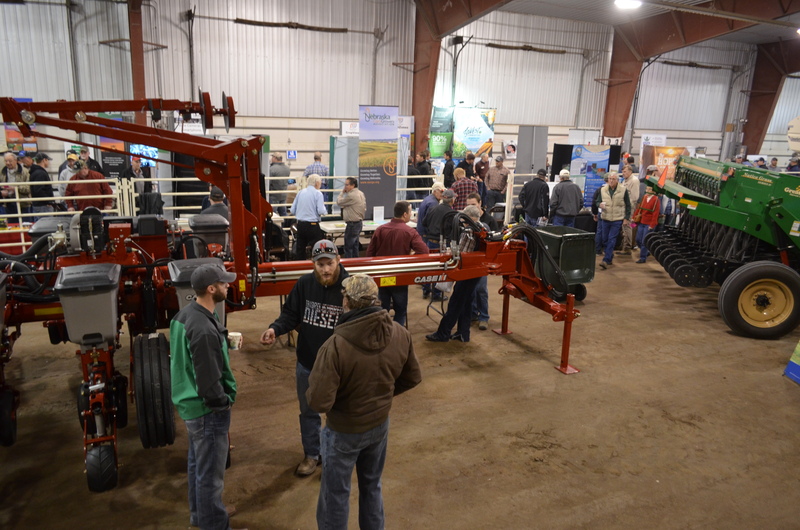 Growers can get the latest research updates for soybeans, as well as view machinery and commercial exhibits, at the Nebraska Soybean Day and Machinery Expo on Dec. 13 in Wahoo. Lincoln, Nebraska – The 2018 Nebraska Soybean Day and Machinery Expo will assist soybean producers in planning for growing season. The expo is 8:30 a.m. to 2:15 p.m. Dec. 13 in the pavilion at the Saunders County Fairgrounds in Wahoo. The expo opens with coffee, doughnuts and the opportunity to view equipment and exhibitor booths. Speakers start at 9 a.m. and include university researchers and specialists, Nebraska Soybean Checkoff representatives, soybean growers and private-industry representatives. Producers will be able to visit with representatives from seed, herbicide, fertilizer and equipment companies and view new farm equipment during a 30-minute break at 9:45 a.m.
David Kohl, professor emeritus at Virginia Tech University, is the featured speaker. Kohl’s domestic and global overview will provide perspective on the factors and transformative trends influencing customers’ financials. His session contrasts the best-management characteristics of the top 40 percent of producers with those of the bottom 30 percent. Justin McMechan, crop protection and cropping systems specialist at the University of Nebraska Eastern Nebraska Research and Extension Center, will update growers on new and emerging soybean pests. The primary focus of the presentation will be on the observations and management of soybean orange gall midge, a new and potentially damaging soybean pest in eastern Nebraska. Information will also be provided on the expansion, scouting and management of Japanese beetles and Dectes stem borers. Darwin Rader, international sales and marketing manager with Zeeland Farm Services, will give a presentation on growing and marketing specialty soybeans to increase profits. Ken Hellevang, extension engineer from North Dakota State University, will discuss managing soybeans in storage. The expo will also include an update on the Nebraska Soybean Checkoff. A complimentary lunch will be served at noon. Registration is available at the door on the day of the expo. Registration is free, but the Saunders County Soybean Growers Organization requests donations of one or more cans of nonperishable food to the food pantry. For more information about the program or exhibitor details, call 800-529-8030 or email kglewen1@unl.edu. Information is also available at https://enre.unl.edu/nebraskasoyexpo. The program is sponsored by Nebraska Extension, the Nebraska Soybean Board, the Saunders County Soybean Growers Organization and private industry.